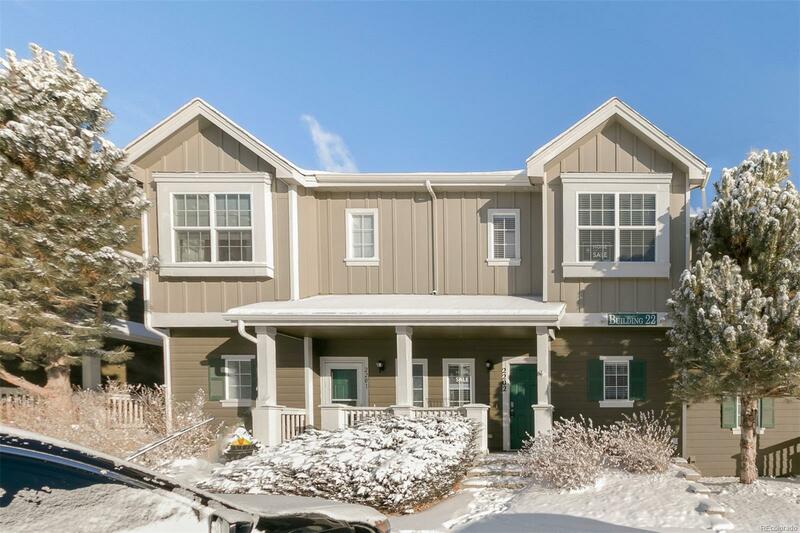 Enter this spacious two-bedroom townhome and immediately notice the open floorplan, cozy fireplace and spacious living room. Two master bedrooms boast large walk-in closets and attached bathrooms. Reserved parking space (with option to buy another one). Bonus space under the stairs provides ample storage. Backs to neighborhood park/open space. Located less than a mile to all that Reunion has to offer, including shops, public transportation, parks and schools. Easy access to Denver International Airport.